I am loving reading books by Dr. Cloud and Dr. Townsend. 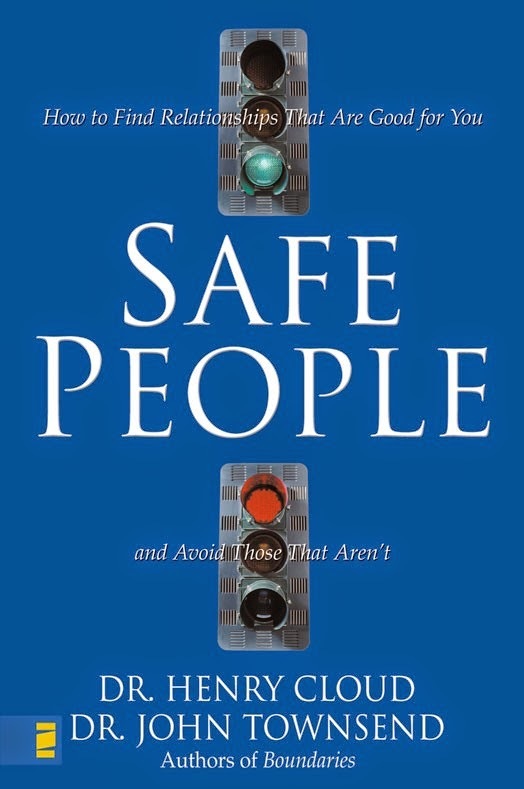 Here are my notes from this book, Safe People. It is a book worth buying. None of this my original thought- all from the book. 13. They resist other’s freedom instead of encouraging it (ex:Do they respect my “no”? Do they withdraw emotionally when I say no? Do they get hurt when I say no? Do they make me feel guilty when I say no? work through resistances. Resistance is our tendency to avoid growth. Should I Repair or Replace this Relationship? Safe is defined as helpful. The church is not a totally safe place and it does not only consist of safe people. The walls of the church do not make it safe from sin. In fact, the church by definition is composed of sinners. The Bible says the church is full of wolves as well as sheep. In the church we will find both tremendous healing and potentially tremendous hurt. We need to be discerning because no family is perfect. We have to avoid becoming pessimistic and learn to recognize the goodness that abounds within a family of God.